MAKE A REASONABLE OFFER - YOU MAY GET LUCKY ! MSRP IS $16K FOR THIS INCREDIBLE SYSTE. 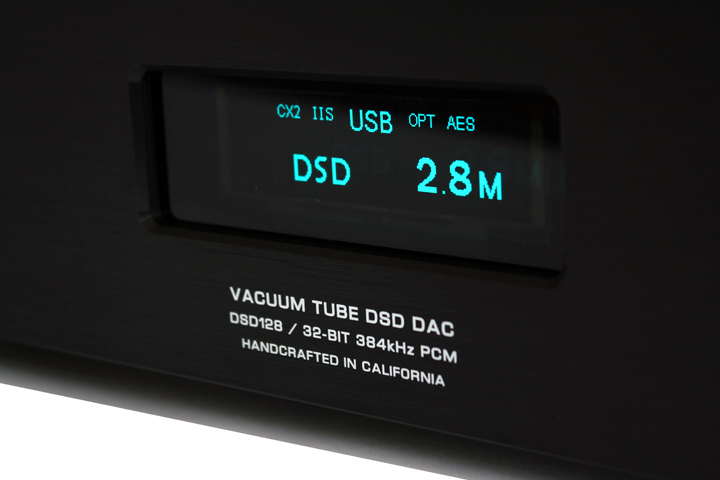 KD-2000 Tube DSD DAC The KD-2000 Tube DSD D/A converter is specially designed for those who like to play their music digitally without sacrificing sound quality. 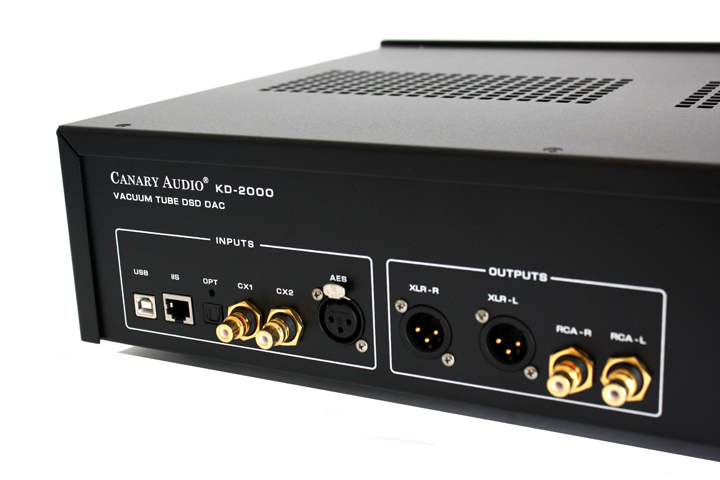 Utilizing the very finest technologies and uncompromising design, the KD-2000 is capable in offering the widest DSD and PCM support with highest sampling rate. 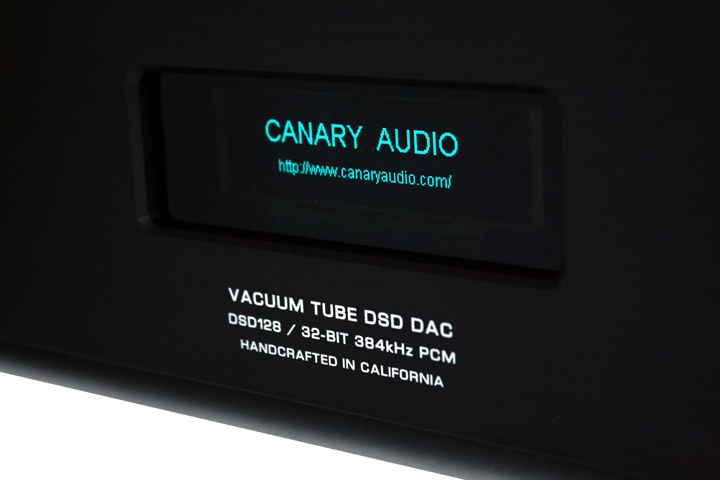 "Canary Audio's first attempt at an all-format tube-based DAC has turned out to be a great success. 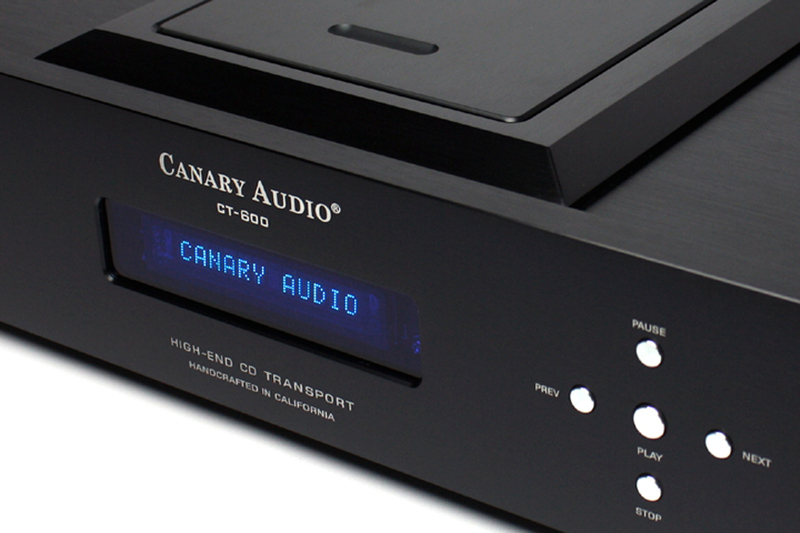 It offers great build quality, a robust power supply, and a tube-based analog conversion section that gets you the speed/transparency/details of digital sound while blending in the tonality/colors/image palpability of what tubes and analog have to offer. 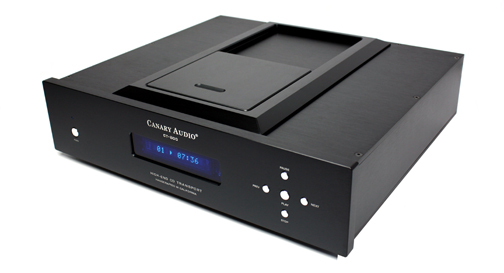 As far as I can tell, the KD-2000 does equal justice to Redbook CDs and high-resolution/DSD material, so it can play any music you have in your collection." State of the art custom designed USB chip. The USB input is compatible with following audio formats via PC/MAC. PCM: 44.1, 48, 88.2, 96, 176.4, 192, 352.8 and 384 kHz, up to 32 bits. DSD64 and DSD128 via USB (DoP): 2.822, 3.072, 5.644 and 6.144 MHz. 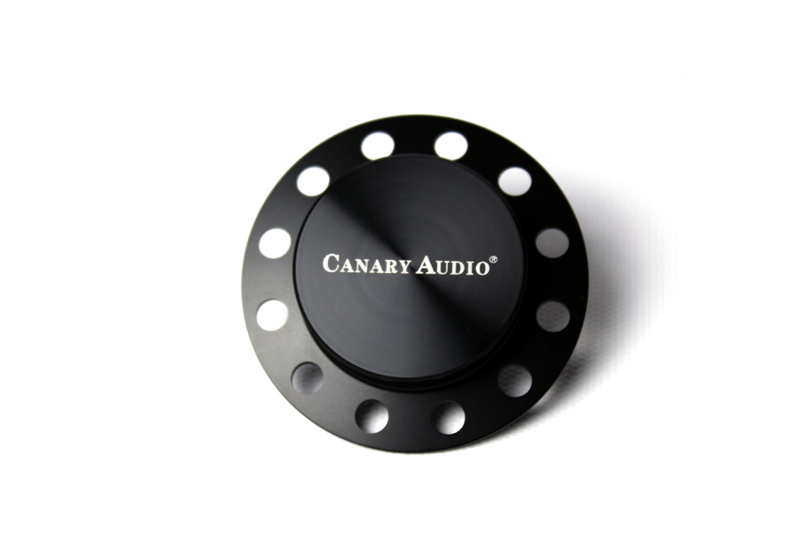 User selectable digital filters are available, making it possible to select the optimum sound quality to suit the individual piece of music. A fast or slow finite impulse response (FIR) digital filter and a 50, 60, or 70 Hz Infinite Impulse Response (IIR) digital roll-off filter can be selected. 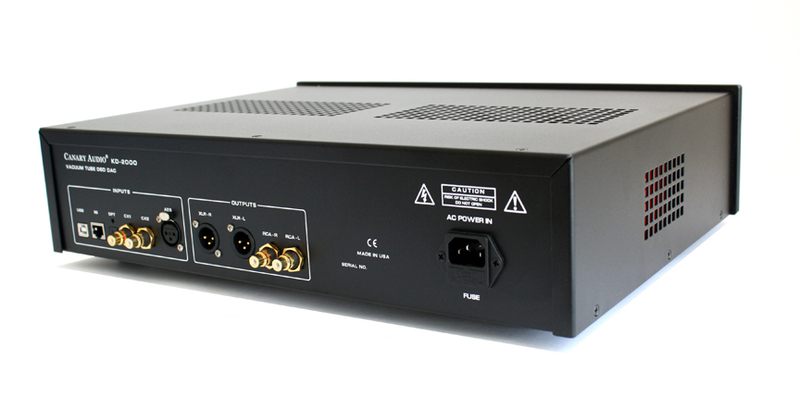 In addition, a digital phase-locked-loop (DPLL) filer is also available. 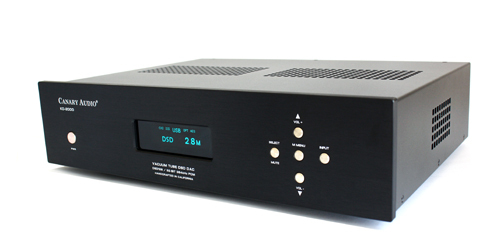 Sophisticated tube buffer section with the use of two carefully selected 6922 vacuum tubes. 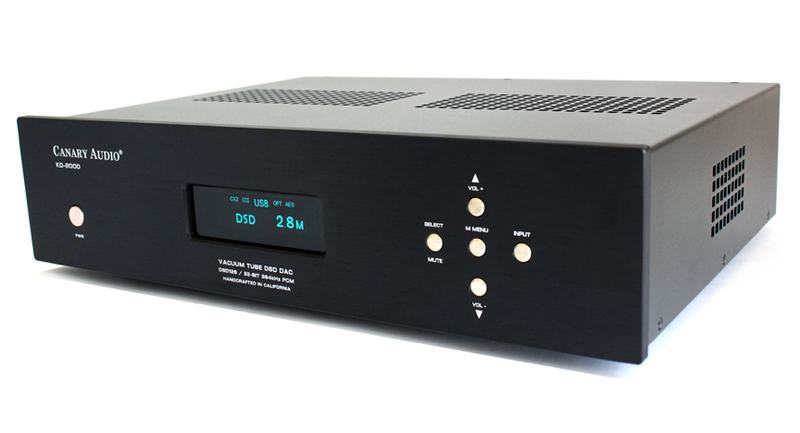 Built in volume control of a highly refined design wih user adjustable volume level and left and right channel output level. 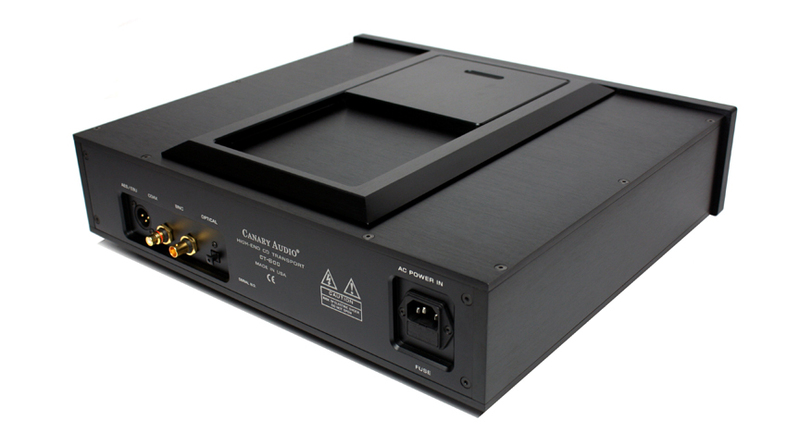 Two fully isolated and separated power supplies for the analogue and digital sections. 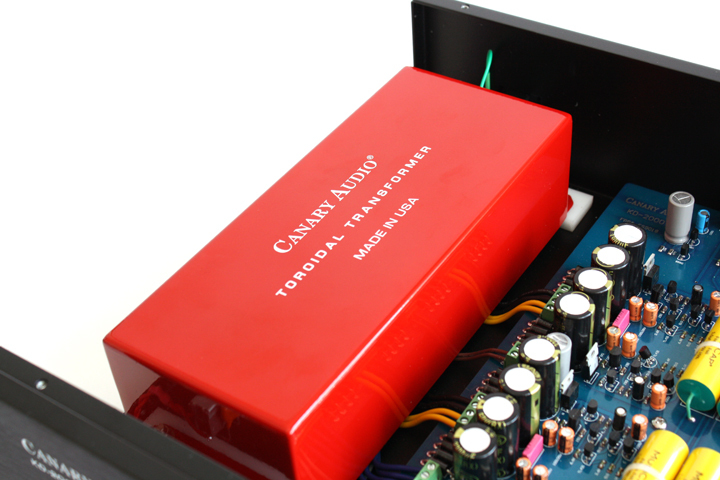 Dual audiophile grade custom wound toroidal transformer (epoxy potted) were employed, one per each channel. Additional EI transformer was used for tube buffer section. 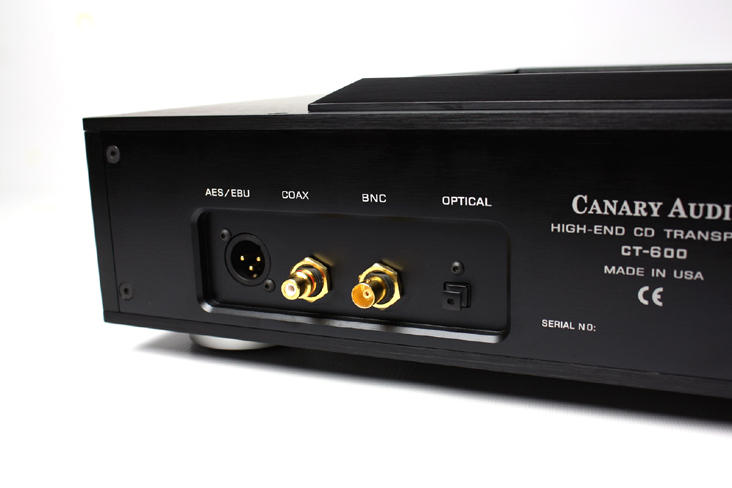 Six digital inputs are available: 2 x Coaxial (S/PDIF), 1 x I2S, 1 x optical (TOS-Link), 1 x AES/EBU and 1 x USB. 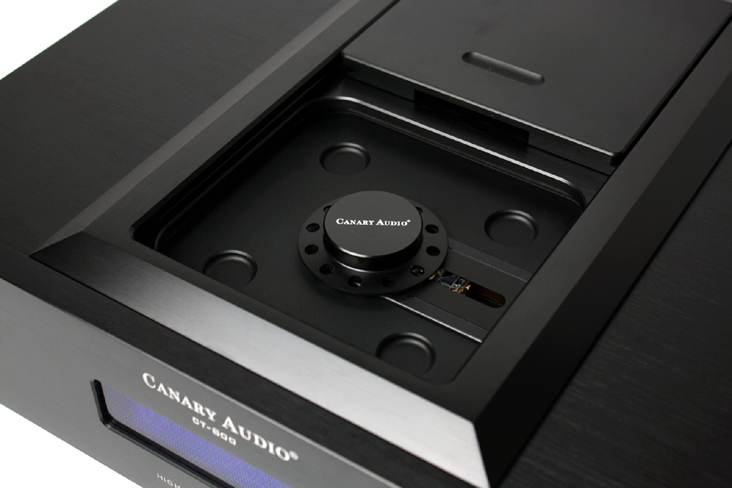 Two high-quality analogue outputs, 1 x symmetrical (XLR) and 1 x asymmetrical (RCA). Fully compatible with Apple IR remote control (not included). 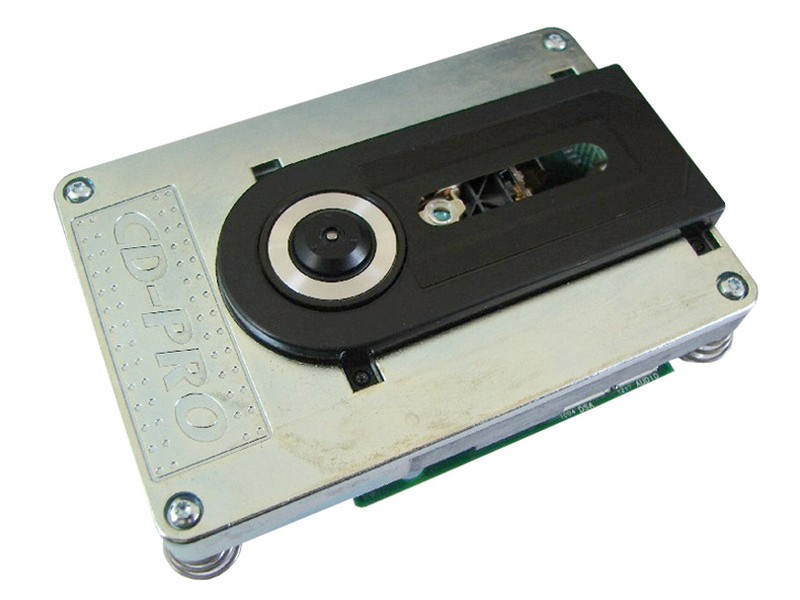 Best of the best Philips CD-Pro2 mechanism. Top loading with solid alumium sliding door and custom made magnetic clamping disc. 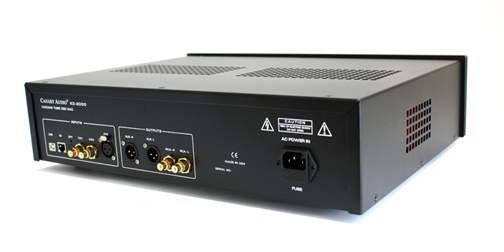 4 digital outputs (AES/EBU, Coaxial, BNC & Optical). 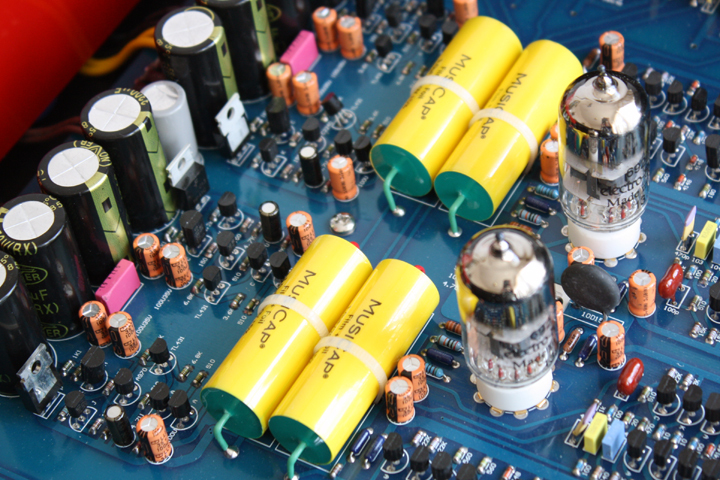 Highest quality passive components used in all applications. Fully hand assembled to insure the highest level of craftsmanship. Dot matrix display with dimmer function. 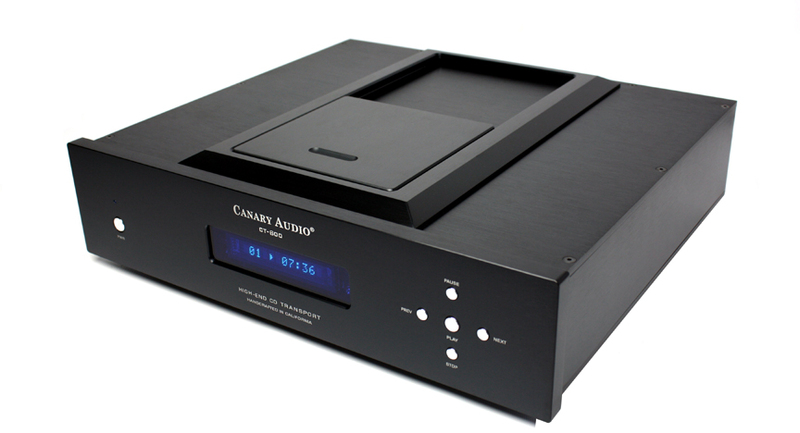 CNC machined full aluminum chassis and faceplate with black anodize. Full function remote control with aluminum housing.